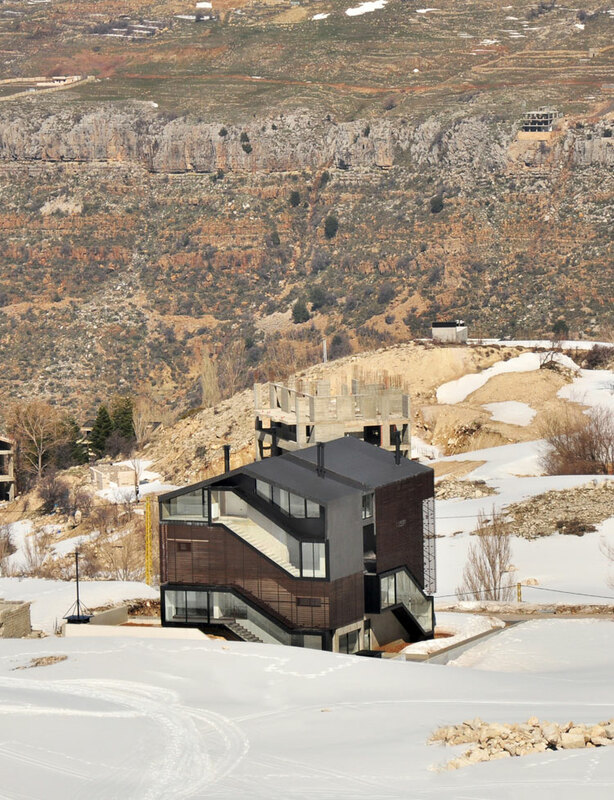 ARCHDAILY - "i-Ski / Accent Design Group"
ARCHIPENDIUM - "i-Ski on ARCHIPENDIUM 2014"
HARMONIES - "i-Ski by AccentDG"
This project sits on a prominent site in the village of Kfardebian. 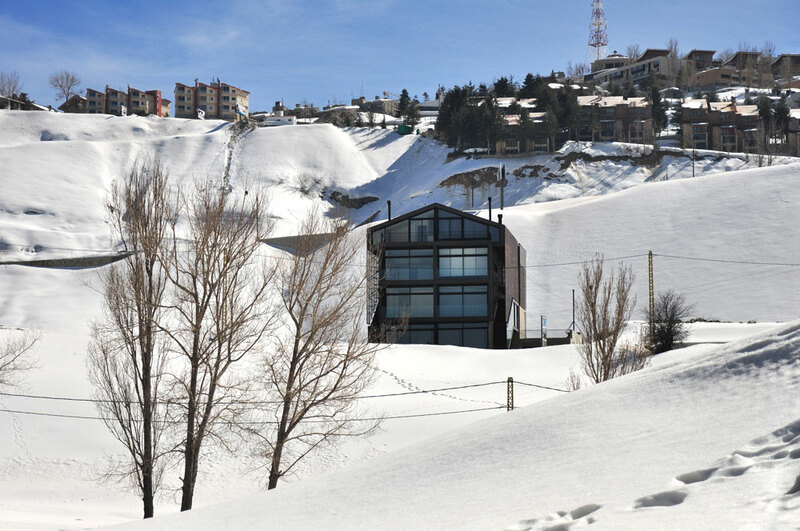 It is located between the Lebanese ski-resorts of Faqra and Faraya and enjoys scenic views of the Mount Lebanon range and down toward the sea. 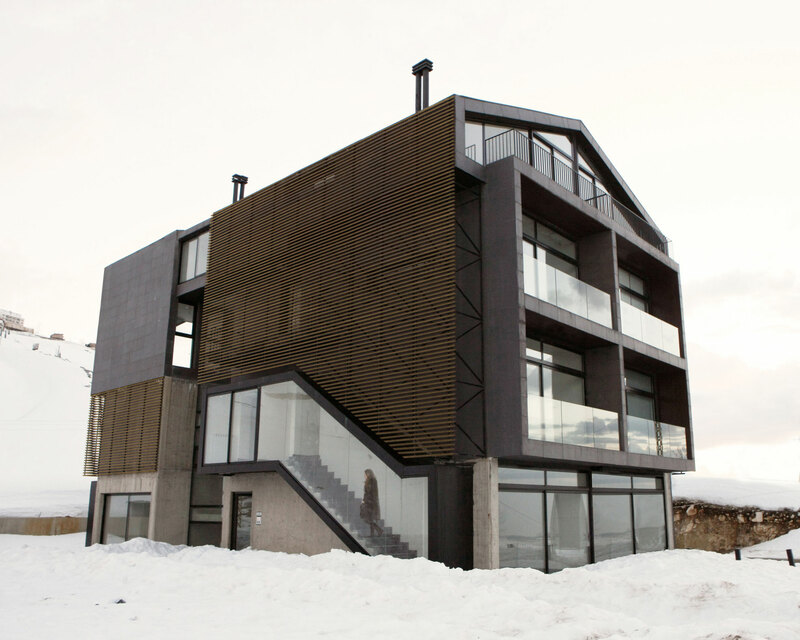 The design fuses the appearance of provincial mountain chalets with contemporary façades and interior spaces. 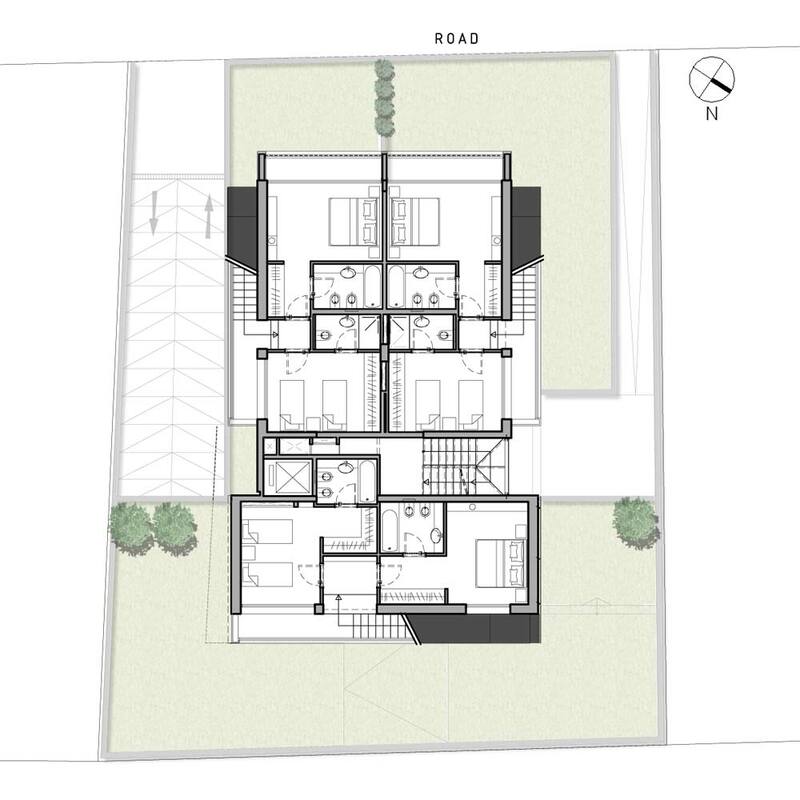 The building is composed of three main units holding six duplexes; these vary in size between 110 sqm and 135 sqm. 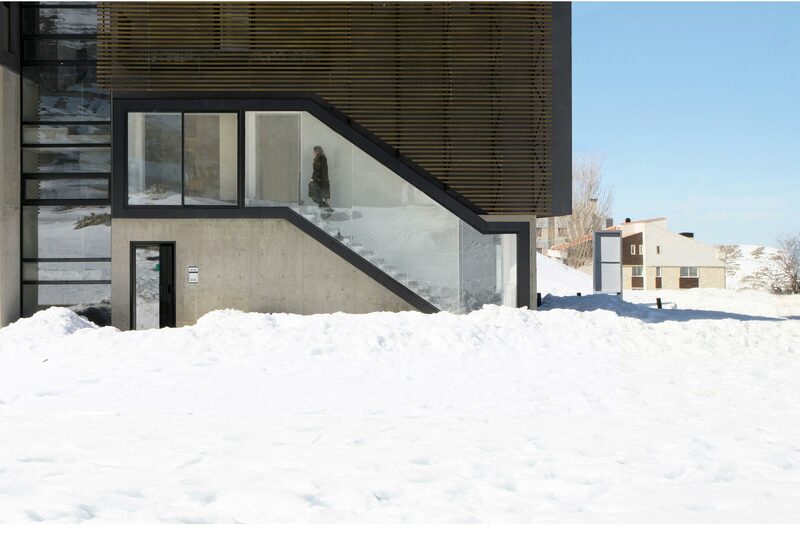 The circulation space acts as the main divider between the three units, which are enveloped in a ‘skin’ of wooden louvers that doubles as a screen for the building’s openings. 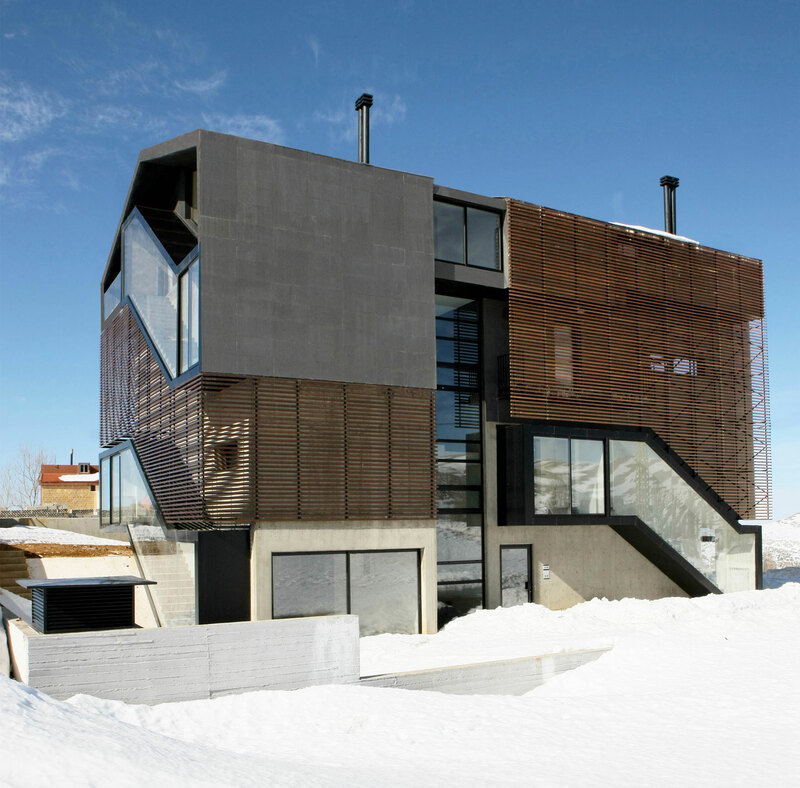 The circulation alternates from interior to exterior at some levels, shifting to the building’s lateral façades. 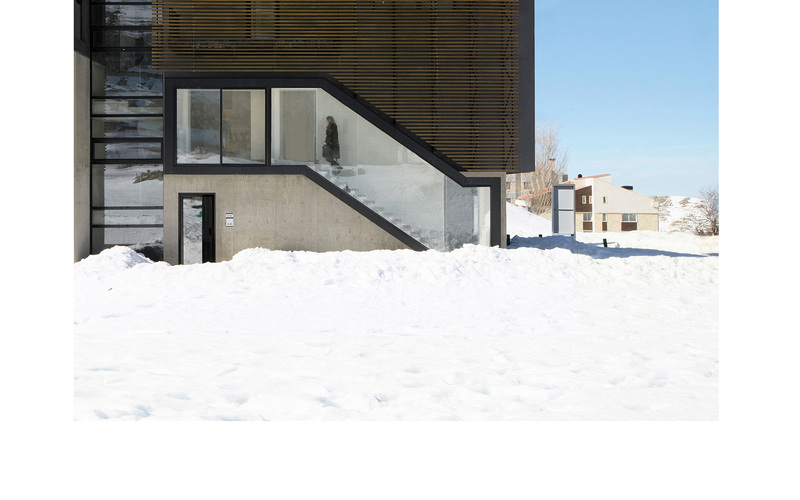 This created an element in which the internal movement is expressed outward. 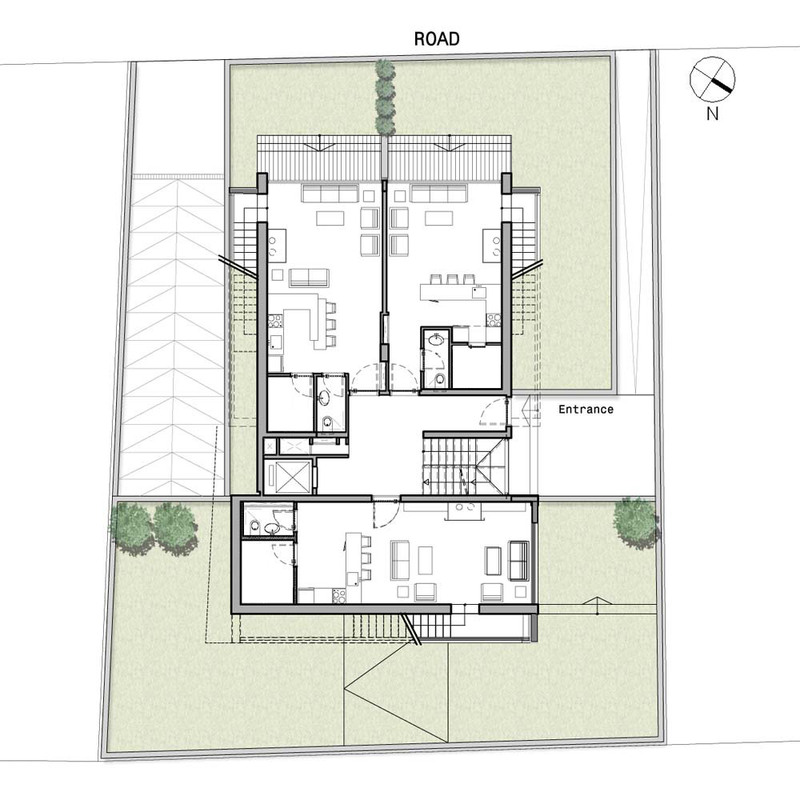 Doing this also allowed for a more flexible interior layout. 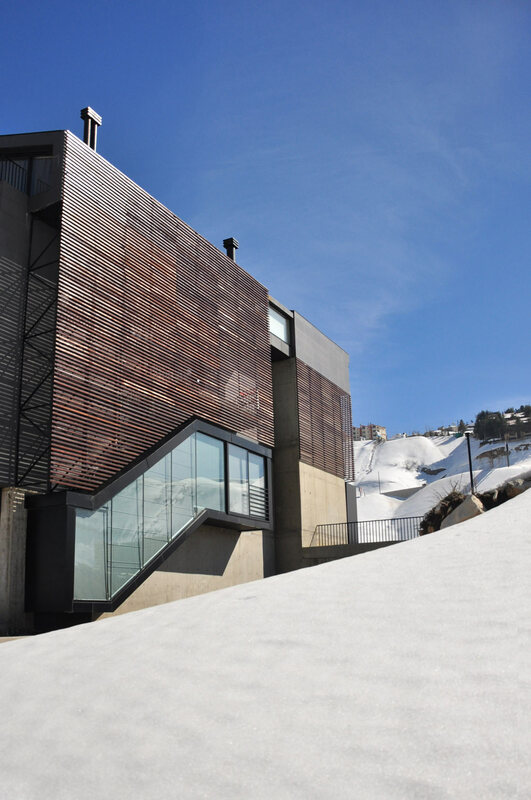 The materials used on the façade (wood, slate, and concrete) give the project a warmer quality and allow it to blend into the natural environment.